Micro Line Security is a series of words printed in a very small font. 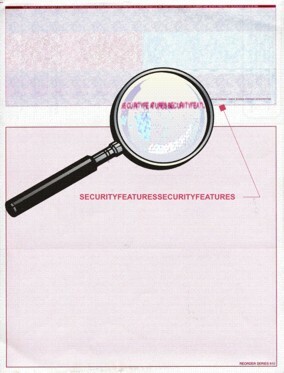 When viewing this covert security feature, to the "naked" eye the words appear as a ruled line. However when viewed under a magnifying glass, the words become visible. making them impossible to read, even under magnification. Micro WordsTM are a series of small words prints across the sheet. This can be a single line or a series of lines repeated down the entire sheet. When viewed in it's entirety, the lines appear as a distinct background. 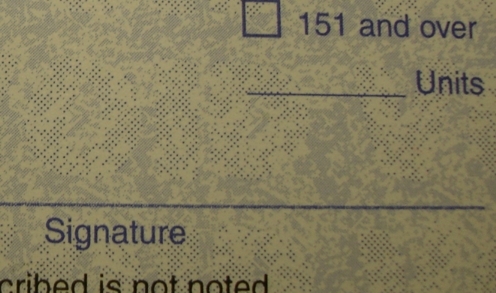 These lines of text may be printed on the front or back of the sheet. View the Micro Security Line under a magnifying glass. Note: Because of improved high resolution copier technology, it is possible for a "Micro Line" to be accurately duplicated without the words "filling in." 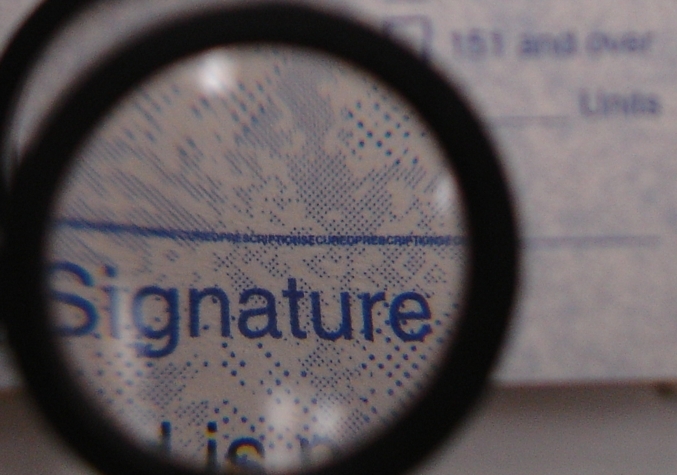 As with all security features, the fact that a feature fails to work as indicated does not mean a document is counterfeit.